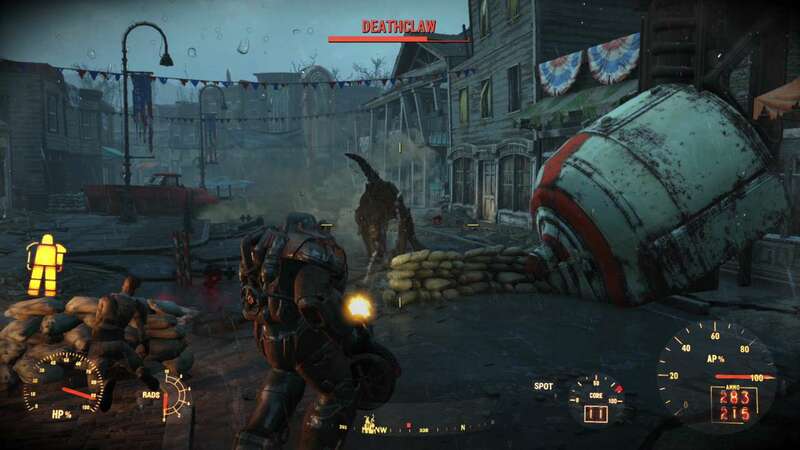 Fallout 4 is an huge open world action role-playing game which is set in a post-apocalyptic Boston in the year 2287, 210 years after the nuclear war that devastated the world. 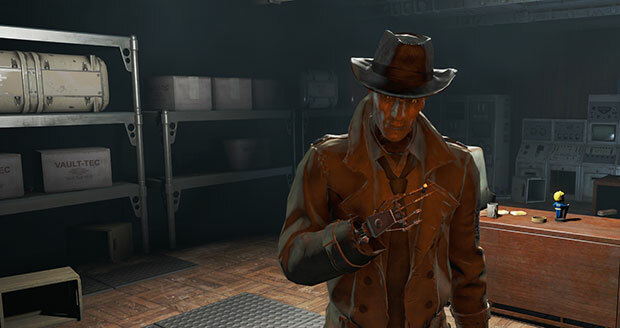 You play as a character that emerges from a underground nuclear shelter known as a Vault that kept you safe throughout the war. 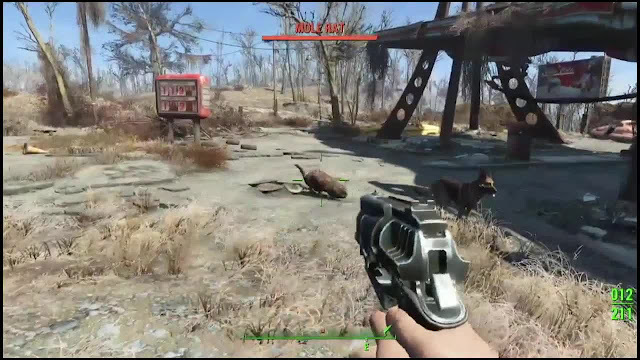 death in the wast wasteland of Fallout 4. This is a open world role playing game which makes the game play very fun, addictive, exiting and adventurous. This game can be played on a PC, PlayStation 4 or Xbox One. You can switch from first person to third person any time and the game play interface is simple enough to use on any gaming platform. Aim with the crosshair at any enemy or npc to interact or to shoot him/her. There is a lot of quests and tasks throughout the game which makes this a very long and time consuming game. Action happens on every corner you go so you will never get bored as new enemies and Npc appear everywhere you go. The graphics in Fallout 4 are amazing. 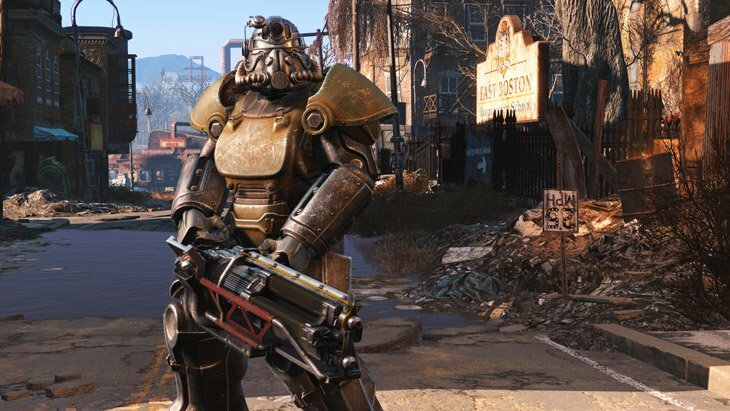 The weapons, enemies, power armor and everything else is very detailed with great textures and great lighting. The characters "Npc's" in this game are very detailed so they look as realistic as possible and overall this game has very realistic character textures. 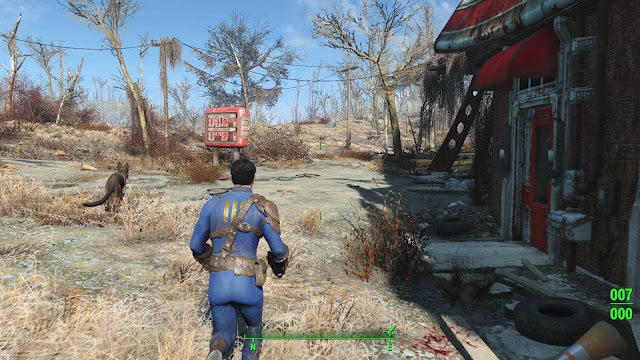 There is no background music in this game unless you open your pip-boy and put on the radio. The radio plays a lot of old classic music with classical instruments and old artists which gives you the feel that this game is set in future but is still living in the past. 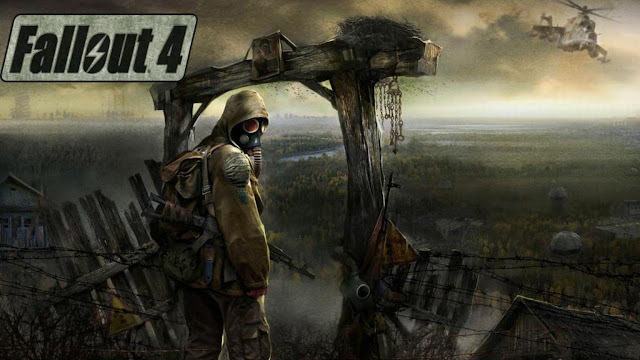 The gun shots, screams, shouts, footsteps, explosions and all the other little noises sound very realistic and detailed as you explore the wasteland. Fallout 4 has plenty of replay value for the fact that you can play it more than one time and always end up with a different story-line and a different ending. There is a lot of different conversation choices that changes the path of your story-line, different actions you can do and a different character build you can do every time you replay this game. 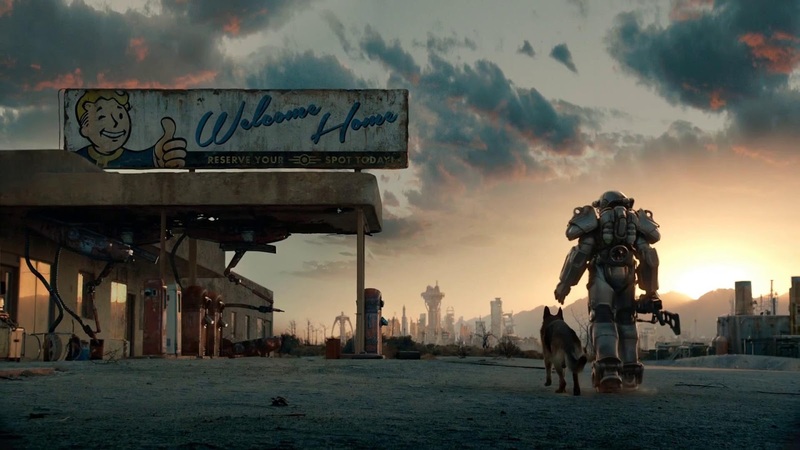 Fallout 4 is a amazing game that has a lot of game-play, a lot of content, many fun story lines you can play through and a huge map with a lot of locations you can visit. Over all i will give this game a 10/10 rating.